Lovers of food, history, and fashion will find many things to do in Milan. 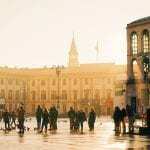 As the second largest city in the gorgeous country of Italy, Milan has a reputation of being one of the leading cities in Europe thanks to its approach to business, fashion, design, commerce and tourism. 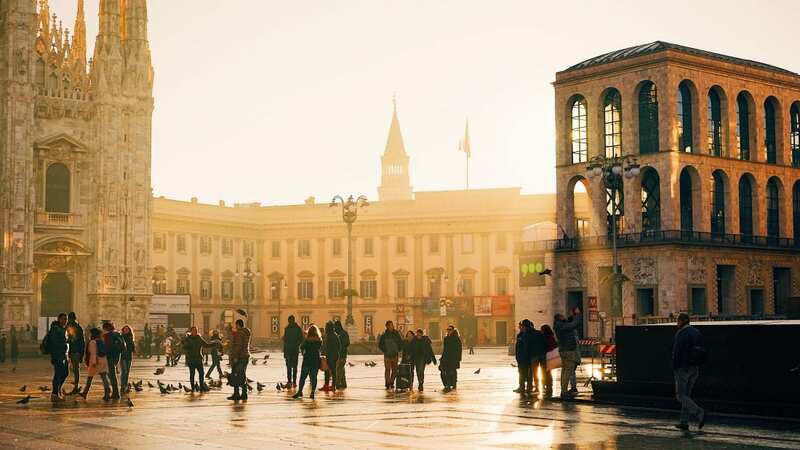 With such a colorful and diverse foundation, you can be sure that a visit to the capital of Lombardy will be insightful, eye-opening and memorable, to say the least! 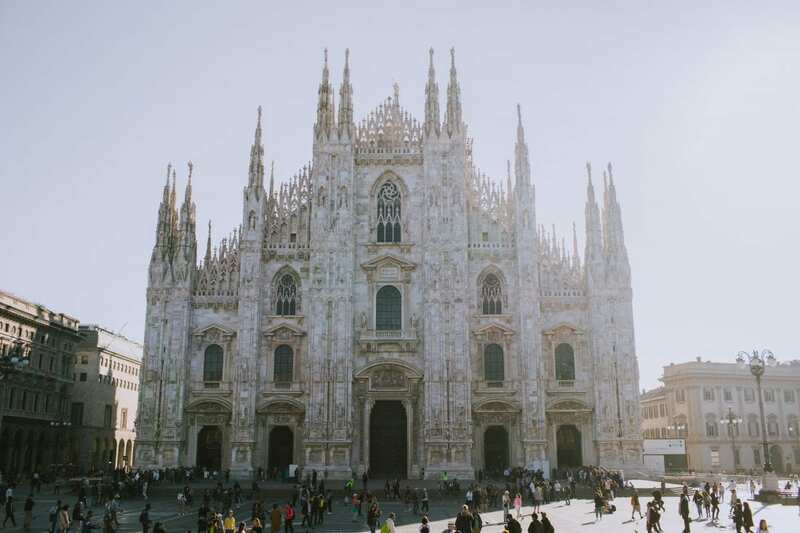 To help you out on your quest of planning the perfect getaway to one of the most stunning cities in Italy, we’ve put together this little guide covering basic notions for first-timer visitors to Milan. 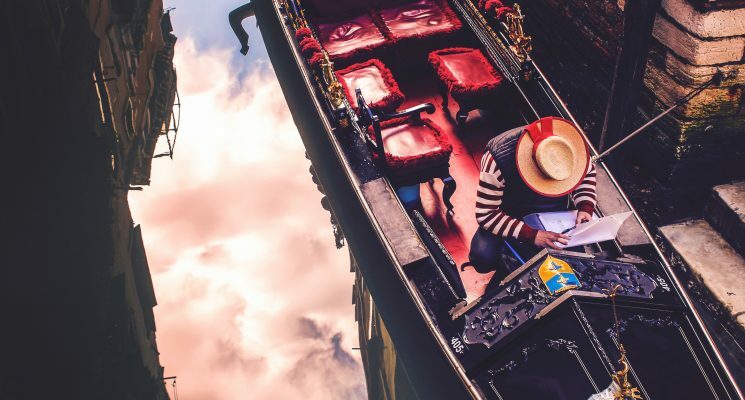 We’ve compiled everything from getting to and around the city and eating your way through the best delicacies to a broad list of the top things to do in Milan. Check it out below. But first, lets start with a few basics. With two airports serving the city (Milan Malpensa and Linate Airport) and a third – Bergamo Orio al Serio – just an hour-long train ride away, it’s safe to say that there are plenty of options to fly in to Milan. Those who prefer driving will find that there are nearly a dozen motorways connecting Milan to some of the largest European cities. 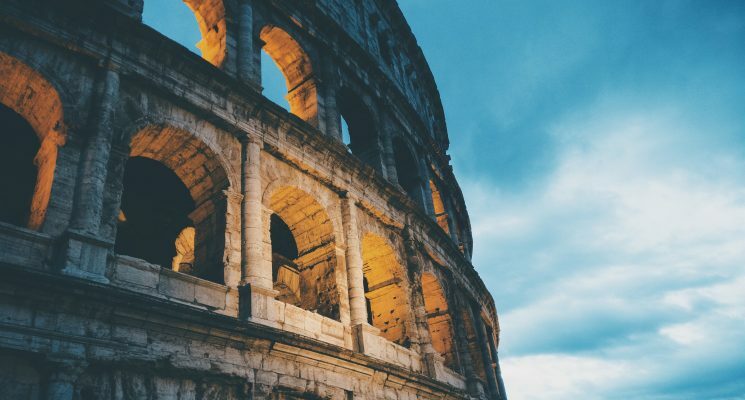 Train-lovers will surely appreciate the city’s efficient and reliable Trenitalia base, offering affordable and fast connections to not only the largest Italian cities, but quite a few European metropolises as well. 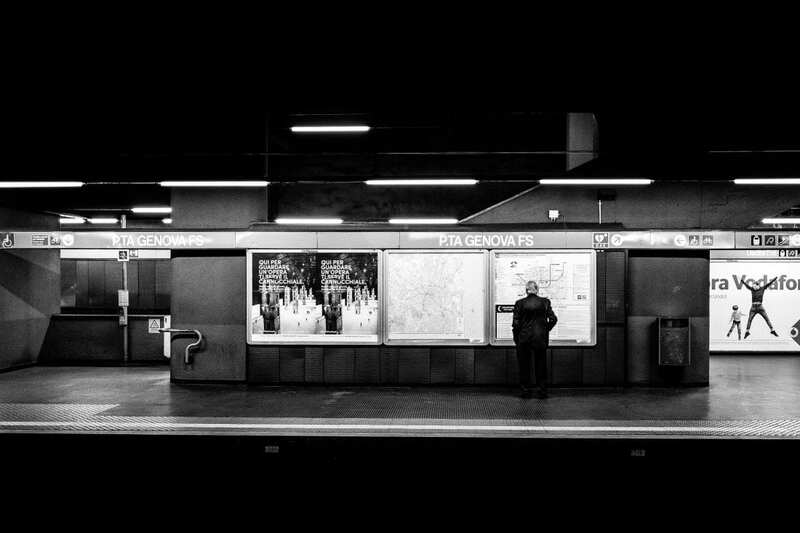 Thanks to its extensive lines and reliability, getting around Milan is probably easiest by metro. If you’re in town for a week or so, it’s much more worthwhile to purchase a weekly pass than buy urban tickets each time you want to go somewhere. Another great and budget-friendly way to explore the city is via tram. Milan has the second best streetcar line extension in the world and is a preferred way by both locals and tourists to get around. Buses and city trains are also good options; however taxi services tend to be on the expensive side, so try to avoid that as much as you can. We recommend picking a different part of Milan to discover every day during your stay and if you choose attractions which are located close to each other, you can leisurely get around on foot, saving a few precious bucks along the way. 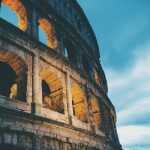 If you decide you want to rent a car to explore the country click here for the best car rental rates in Italy. When planning your trip to Milan you’ll need to consider accommodation, which we recommend booking in advance, especially if there are large events organized in the city at the time of your arrival. 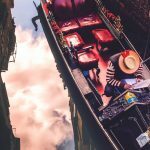 For budget-friendly options check out a list of more than 90 hostels Milan has to offer, or our guides on where to stay in Milan and the best hostels in Milan to easily narrow down those options. Milan can be a pricey city when it comes to hotels and hostels, but if you look around you’ll almost certainly find something affordable for just about any travel budget. 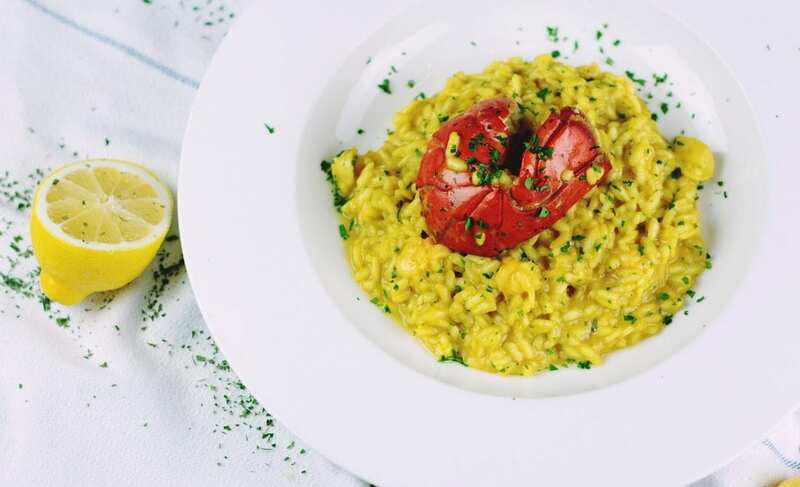 The Risotto alla Milanese with Ossobuco is one of the city’s signature dishes, a combination of delicious risotto served with a sumptuous veal shank, served by all the traditional restaurants like the Antica Trattoria della Pesa. Make sure you guys get a taste of this at least once while in Milan. The Casseoula, a beloved mixture of cabbage and pig meat, is a winter favorite and can be enjoyed at the Trattoria Massuelli San Marco. The Polenta, once considered a peasant’s meal, is another local treat you shouldn’t miss. After being introduced to Italy in the 17th century, polenta became a staple a Northern Italian diet. Today, polenta is also a much beloved (wintertime) recipe. Some of Milan’s most tasty polenta can be devoured at Masuelli San Marco, a historic trattoria. The Minestrone Milanese is a typical vegetable soup highly cherished by locals and tourists alike, best enjoyed at the Bistrot con Cucina San Maurí, while the Panettone is a historical, sweet treat which you should definitely try out at the iconic Pasticceria Martesana. Vegans, what can we say? You already knew it would be hard to eat in Italy, given all the lovely lovely cheeses, but do not despair. You can find versions of the Risotto and other authentic dishes in these 6 restaurants. Italy is one of the best destinations in the world to admire some of the finest pieces of art ever made and Milan is a great place this inspirational journey. Kickoff your day of sightseeing at Sforza Castle, the lovely medieval fortress, housing not only a history museum but also a few valuable pieces by da Vinci and Michelangelo. For more drawings by the world-famous Leonardo da Vinci, visit the Biblioteca Ambrosiana, which is also home to the works of Caravaggio and Titian. For a tour of some fine Italian Medieval and Renaissance art, check out the exposition at Pinacoteca di Brera, while those who enjoy modern sculptures and paintings can visit the Galleria d’Arte Moderna, housing some fine gems from Cezanne and Gauguin. 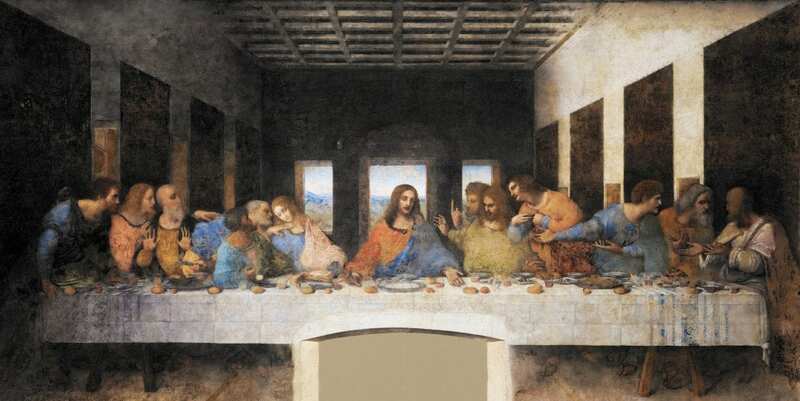 When in town, one of the top things to do in Milan involves standing at a long queue even with pre-bought tickets to admire the iconic The Last Supper painting at the beautiful Renaissance church of Santa Maria delle Grazie. If you have the patience and absolutely MUST see this painting, be prepared to wait for it. It’s (kind of) worth it. Architecture buffs will surely enjoy the decorative details of some of the most beautiful palazzos in the city, such as the Palazzo Marino and the Royal Palace of Milan. Sitting in the heart of downtown Milan the Piazza del Duomo (Cathedral Square) is one of the more beautiful plazas in Italy, and in Europe. The iconic Milan Cathedral dominates the landscape of the entire plaza, which is no surprise given that this magnificent work or art is the largest church in Italy. Milan’s cathedral is its most recognizable landmark, but it’s also beautiful on the inside. A visit within is a pretty good idea, if you ask us. Soak up the atmosphere and people watch while sitting at a café on the square (but be prepared to pay premium prices, and boy do we mean premium), marvel at the architecture, or do some shopping in the four level mall that overlooks the piazza. Pro tip – you can get some really cool views of the piazza from the top level of this mall. If you ever had a friend who visited Milan they undoubtedly have a picture of themselves in this plaza, and once you go to Milan yourself you will as well. 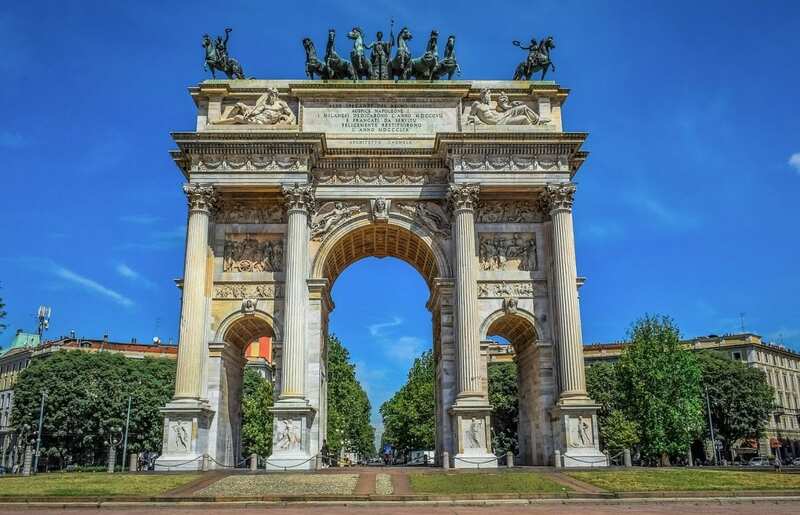 You will almost certainly come across this impressive, and massive, arch on your journey around Milan. Initially serving as as monument to Napoleon’s conquests, the Arch of Peace was renamed and repurposed after the Congress of Peace in Vienna in 1815. Today the Arch of Peace, or Arco della Pace, stands at the center of a large plaza, at the edge of the Sempione Park. It’s one of Milan’s most Instagrammable locations, so you’ll find many a selfie taking tourist here. Go be one of them, there’s no shame in it! 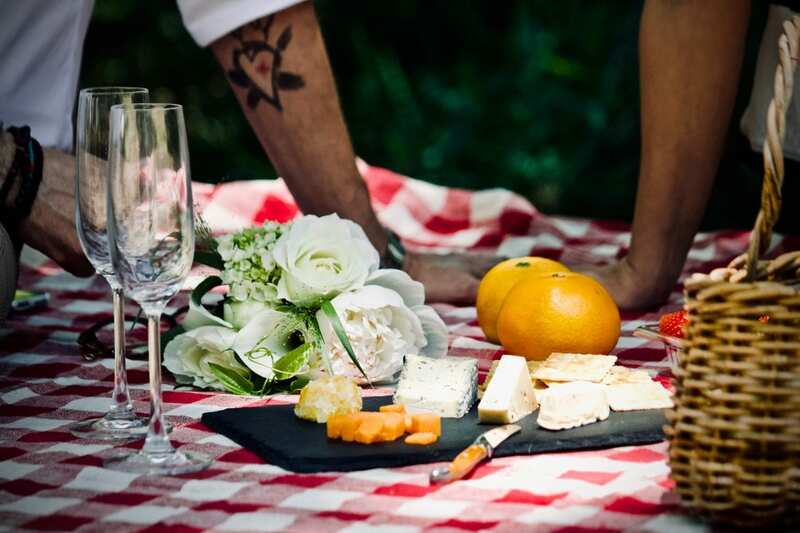 If you want to sit back and relax after a few long and exhausting hours of city sightseeing, we recommend putting together a simple picnic for one of the city’s numerous parks. So grab a chunk of Gorgonzola, some grapes, crackers and the finest bottle of Prosecco you can find, bring a blanket and get ready for some leisurely people-watching. Parco Sempione is the public’s favorite when it comes to beautifully-landscaped gardens right in the heart of the city, offering plenty of space for everyone on its 38.6 hectare grounds. The park is adjacent to the gardens of the Sforza Castle and to the Arch of Peace, two of the main landmarks of Milan. Come here to picnic and to enjoy panoramic views encompassing both monuments. The Indro Montanelli Public Gardens also boasts a peaceful, lush park area, encompassing two other fantastic attractions which might pique your interest: the Natural History Museum and the Planetarium. 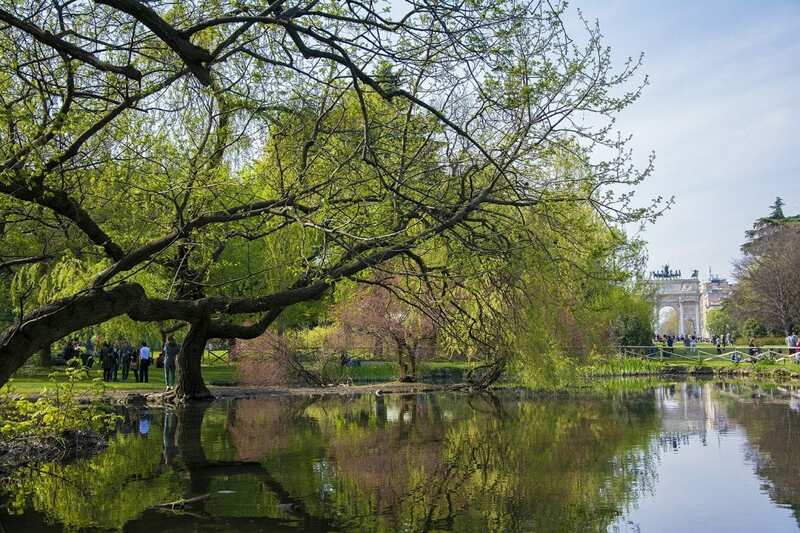 Many of Milan’s residents consider this park a bit like an oasis, offering an escape from the city’s rather hectic atmosphere. Given its lovely little waterfalls, bridges, ponds, and walking paths Indro Montanelli Public Gardens is a popular destination for bikers, joggers, and for people just looking to hang out and chill in Milan. Basiliscas Park is another fantastic destination for a memorable picnic, dotted by a wide variety of mature trees and located between two important religious edifices, the Basilica of San Lorenzo and the Basilica of Sant’Eustorgio, both established in the 4th century. If you’re interested in a more active way to spend the day in nature, check out the gorgeous Botanical Garden of Brera, featuring beautiful ponds, a historical greenhouse and some of the oldest trees in Europe, definitely one of the top things to do in Milan. Besides the two gorgeous 4th century churches mentioned above, there are numerous other impressive religious edifices all across Milan. 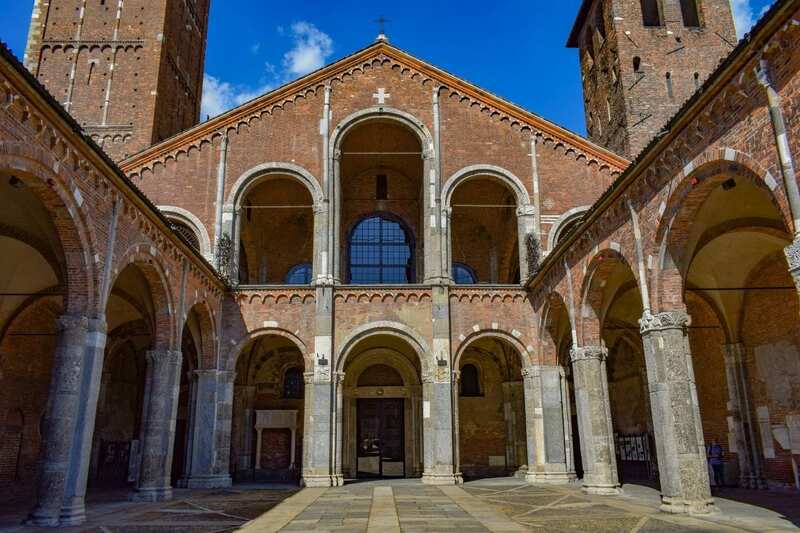 Another ancient church, the Basilica di Sant’Ambrogio was constructed in the same century, and then rebuilt in Romanesque style in the 1100s, currently featuring a gorgeous columned courtyard. The Santa Maria presso San Sattiro is a deceptive 15th century edifice, seemingly small from the outside, but with a twist you’ll notice instantly once you step inside. 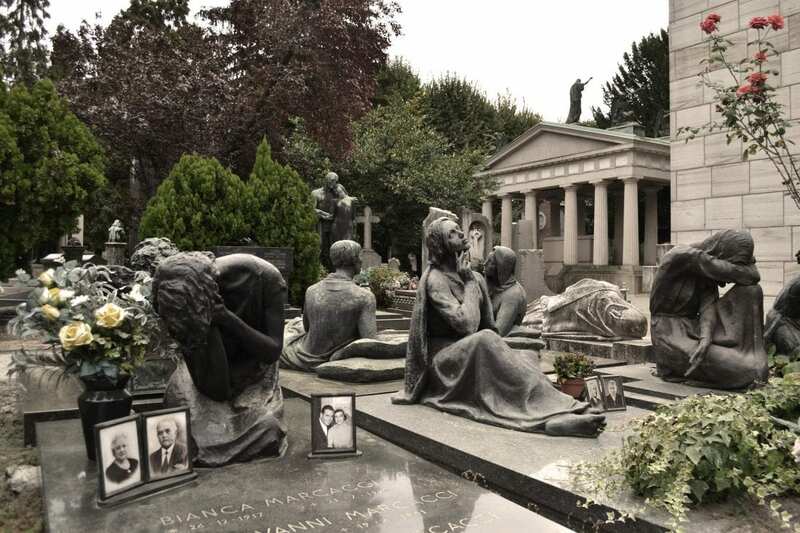 Visiting the Cimitero Monumentale is another mandatory thing to do in Milan, since it offers a unique abundance of artistic tombstones and sculpted monuments. If you love exploring the history one can find in a graveyard, like we sometimes do, make sure not to skip visiting the Cimitero. Finally, San Bernardino alle Ossa is a church with a Baroque interior featuring quite an interesting ossuary. Located in Parco Sempione, Torre Branca, the emblematic steel landmark stands high above the Milan skyline with its 108.6 meter height. This is the tallest point from where you can admire the entire city in all its glory, so it’s definitely worth the climb (or the elevator ride). Another excellent, but completely unique perspective of Milan is offered from the terraces of the Duomo, from where you can admire the square and the surrounding architectural gems from a different angle. The majestic edifice took 6 centuries to complete, being the largest church in Italy and the third largest in the entire world, so taking a loud of pictures there should definitely be on your list of things to do in Milan. Besides the myriad of fascinating palazzos, art galleries and churches, there are also a handful of thematic museums worth mentioning. The Mudec, Milan’s modern art and cultural museum, with its futuristic interior, rotating exhibitions and rich collections is set to impress every design aficionado. La Triennale di Milano presents the finest elements of Italian design, whilst the Museo Teatrale alla Scala presents the history of the famous opera house bearing the same name. Speaking of which, seeing a real performance in the world-famous La Scala is one of the top things to do in Milan, so don’t miss it! The Leonardo da Vinci Science and Technology Museum is the largest of its kind in Italy, with insightful exhibitions divided into seven main themes. The Archaeological Museum features a vast collection of relics and artifacts from ancient Roman, Indian, Greek and Etruscan times. Milan has a ton of other really interesting museums and galleries, so plan your visit wisely if you want to visit as many of them as possible. 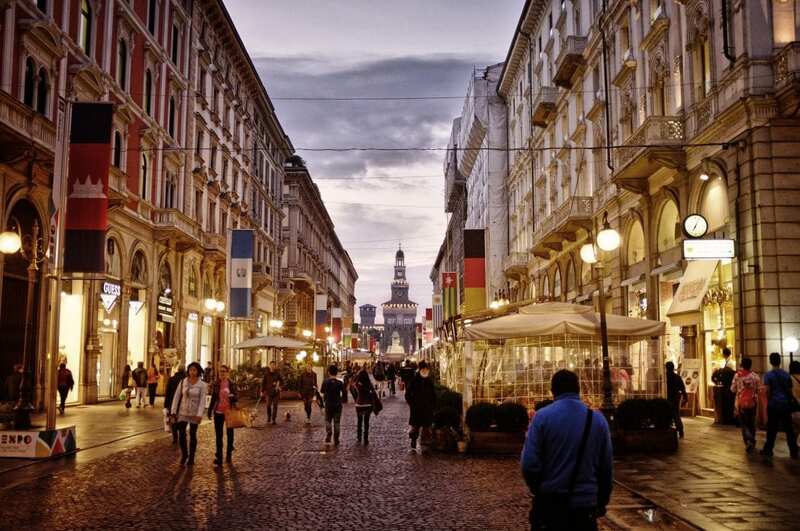 Often referred to as the fashion and design capital of the World, Milan offers some of the best shopping areas on the planet. The Via Montenapoleone is known as Europe’s most expensive street and offers a wide range of high-end luxury shops, jewelry stores and other style boutiques. Another popular fashion center in the city is also one of Milan’s most-visited landmarks, the Galleria Vittorio Emmanuelle II. With a nearly 150-year history, it is often referred to as the oldest shopping mall in the country and currently gives home to traditional restaurants, haute couture stores and connects the city’s two most famous landmarks, the Teatro Alla Scala and the Duomo. 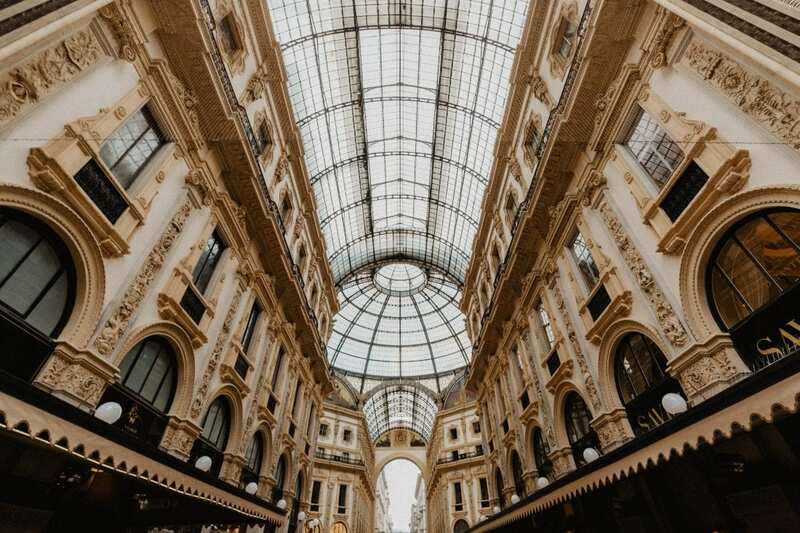 The Galleria is also one of the most popular “Instagram” spots in the city, so if you are looking for a typical Milan selfie or travel shot this is the place to go. Milan is home to the largest stadium in Italy and one of the largest in Europe, hosting a myriad of sports games, concerts and other leisure events year-round. 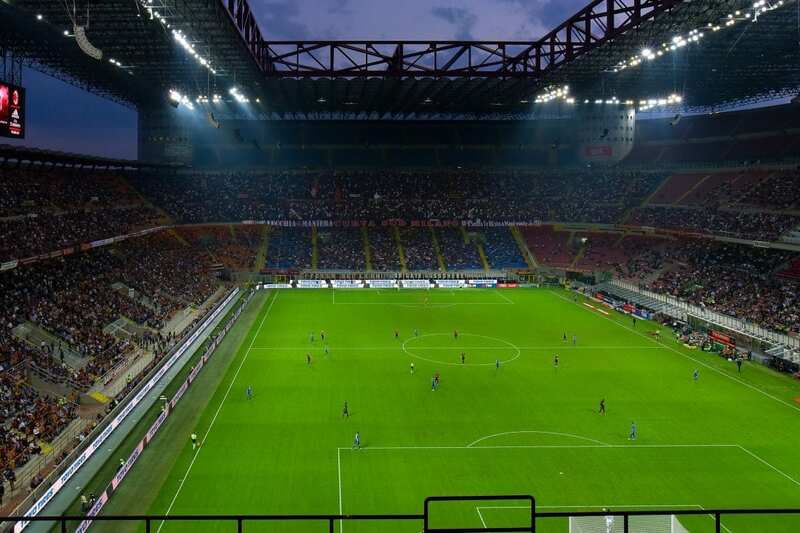 The San Siro Stadium can house over 80,000 spectators so there’s virtually no better place on the Old Continent to cheer for your favorite soccer team. It is also the first in the country to have its own museum made up of objects presenting the highlights of the two local team’s (A.C. Milan and F.C. Inter) history. A daily, guided tour of the stadium is another interesting activity, through which you can visit the otherwise inaccessible areas of San Siro. This is obviously something any fan of football needs to experience. Click here if you are looking for the best hostels in Milan! And there you have it folks. 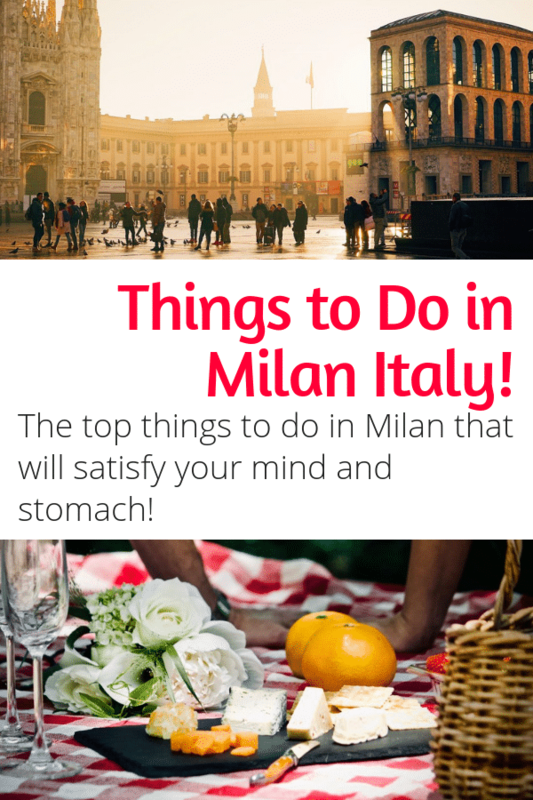 As you can see there are a ton of things to do in Milan involving art, food, fashion, and shopping. All this is just the tip of the iceberg, of course. Italy’s second largest city offers days and weeks of discoveries. 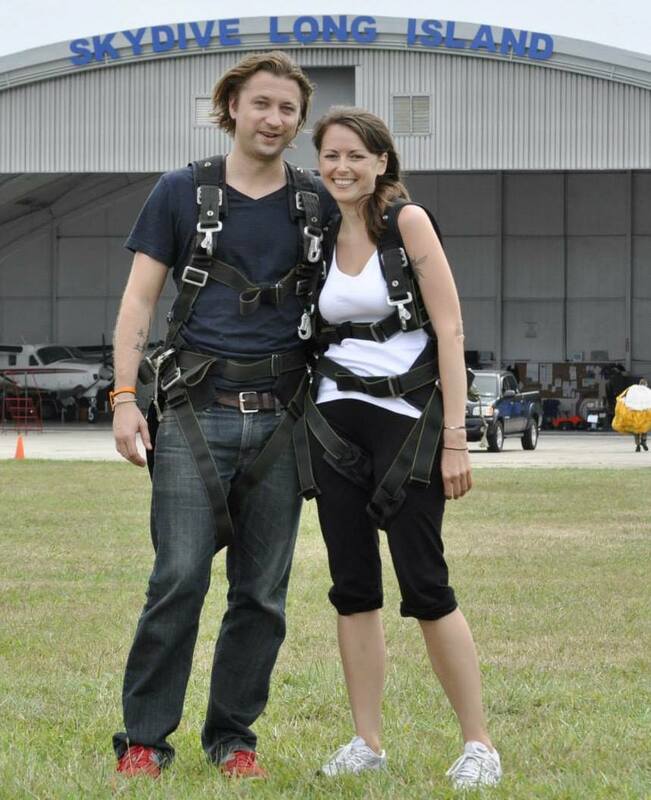 We hope to have inspired you to check this really cool city out for yourself. As always happy travels, and we’ll see you on the road.